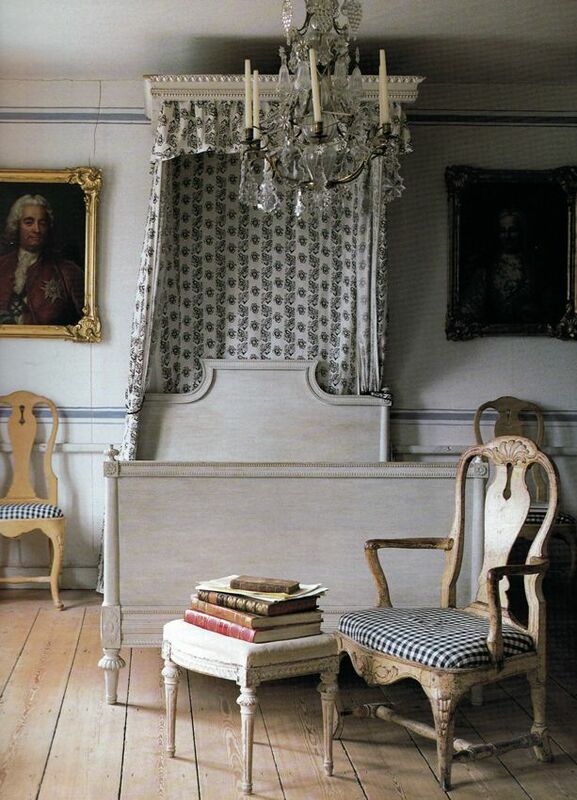 If you have been following my blog for awhile you know that I have a love for Swedish or Gustavian style. 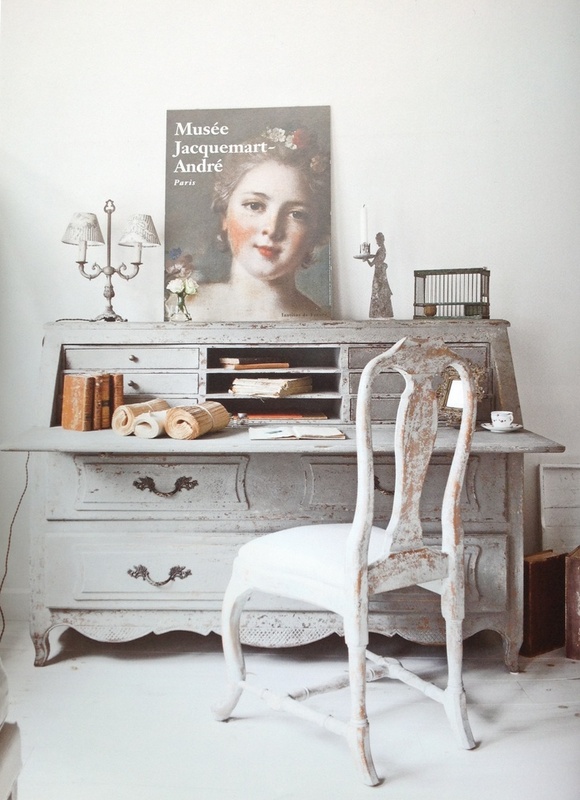 My blog friend Catherine over at Gris Foncé once emailed to ask if there was any place in Montreal where she could buy furniture and accessories in a Swedish style and I had to say...Noooo..not easy to find here in Montreal (she has a little post up right now about that conversation and her take on Swedish style here). I have also talked about how much I want a Mora clock and have had many conversations with Jo Lee from Swedish Interior Design, who sells a wonderful collection and has the most amazing home that I blogged about here. Truly spectacular!! 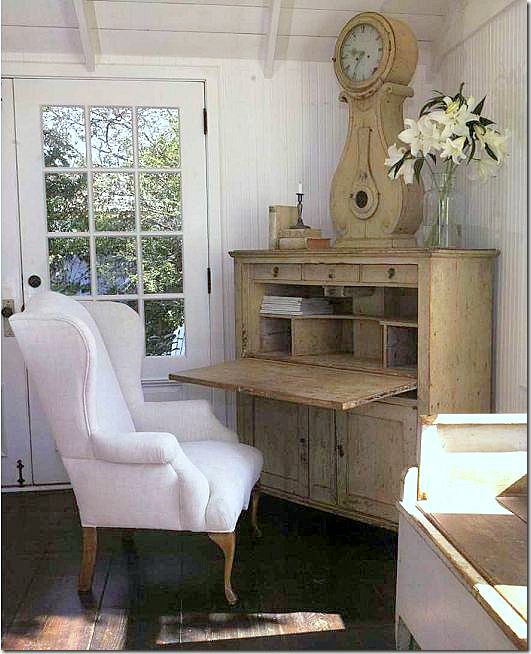 I go over and visit his site to check out the furniture and clocks and pick out ones that I would love to have in my home. 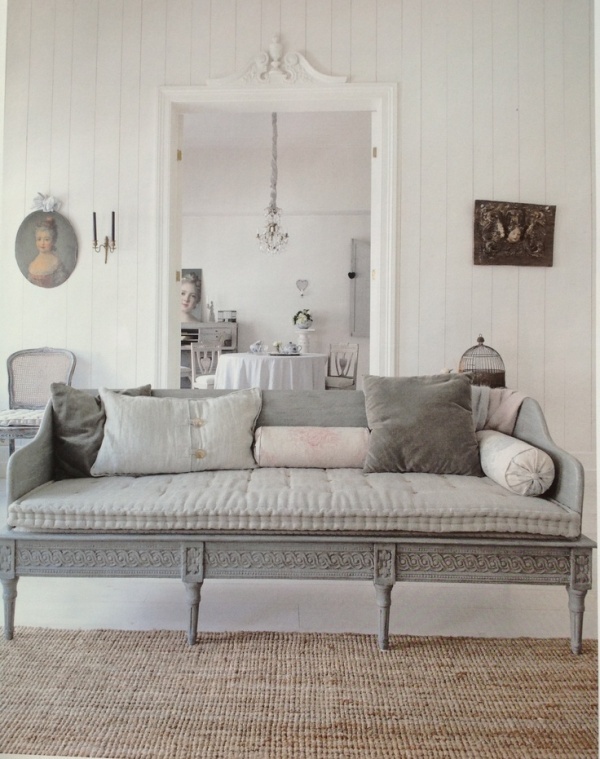 So until I get the chance to collect some wonderful Swedish antiques I collect photos of my favourite Swedish homes here on Pinterest..